Steve has been known as "Teabags" since he picked up the nickname presenting his first show called "Teabreak" for Hospital Radio Lewisham back in the early 70's. Moving to Maidstone in 1993, he enjoys playing all styles and genres of music from his personal music collection when presenting his Monday evening show. 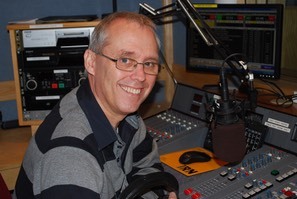 Passionate about hospital broadcasting since his school days, he was awarded the UK Hospital Radio Broadcaster Of the Year and also the BBC Radio Kent New Talent in 2001.